Ada soalan mengenai Hotel Basss? 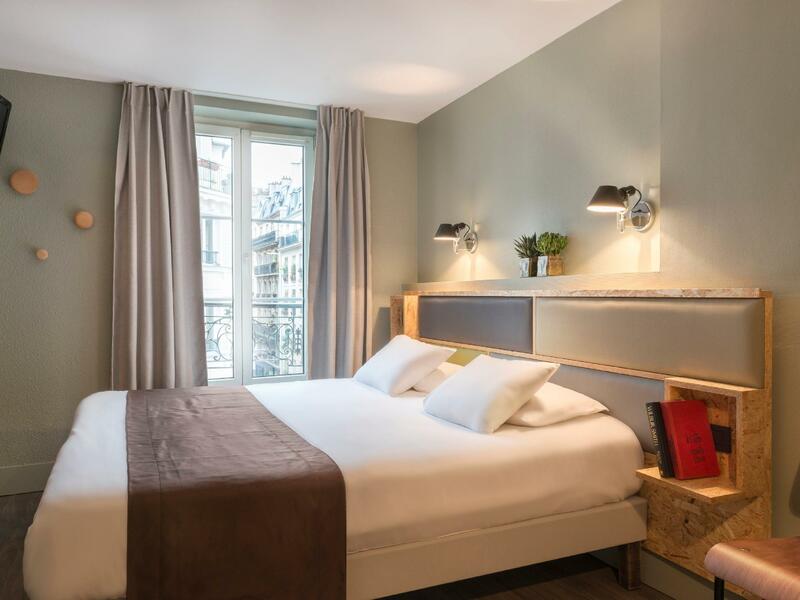 Jika apa yang anda cari adalah hotel dengan lokasi menyenangkan di Paris, cuma perlu lihat Hotel Basss. Dengan lokasi hanya dari pusat bandar dan dari lapangan terbang, hotel 3-bintang ini menarik banyak pelancong pada setiap tahun. 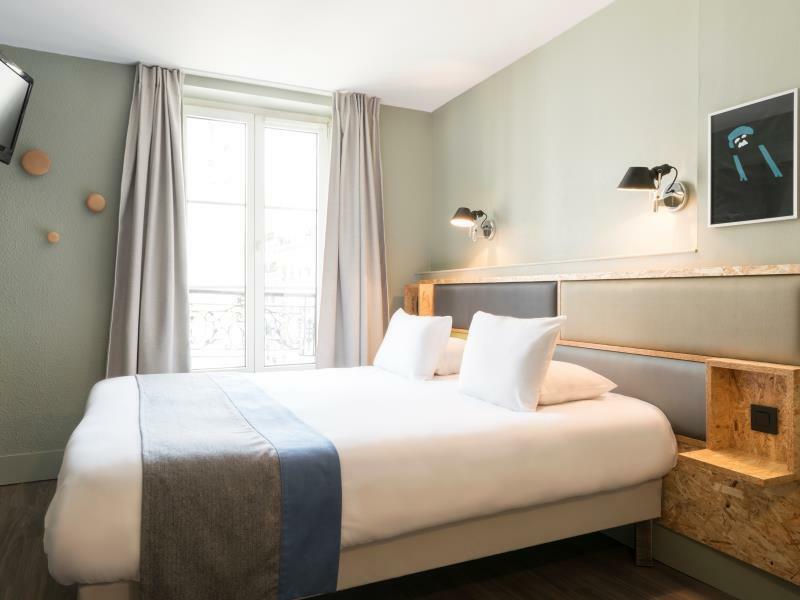 Pelawat yang datang ke hotel boleh melawat tarikan utama di bandar ini seperti: Rose Bunker, Church of St Jean Montmartre, Rue Lepic. Kemudahan dan perkhidmatan yang disediakan oleh Hotel Basss memastikan penginapan yang menyenangkan bagi para tetamu. Kemudahan utama hotel termasuklah meja depan 24 jam, daftar masuk/daftar keluar ekspres, simpanan bagasi, Wi-Fi di tempat awam, surat khabar. Hotel Basss mengandungi 41 bilik yang dihias indah dan menawarkan televisyen skrin rata, karpet, internet wayarles, internet wayarles (percuma), bilik larangan merokok. Di samping itu, pihak hotel menawarkan aktiviti rekreasi untuk memastikan anda mempunyai perkara untuk dilakukan sepanjang penginapan anda. 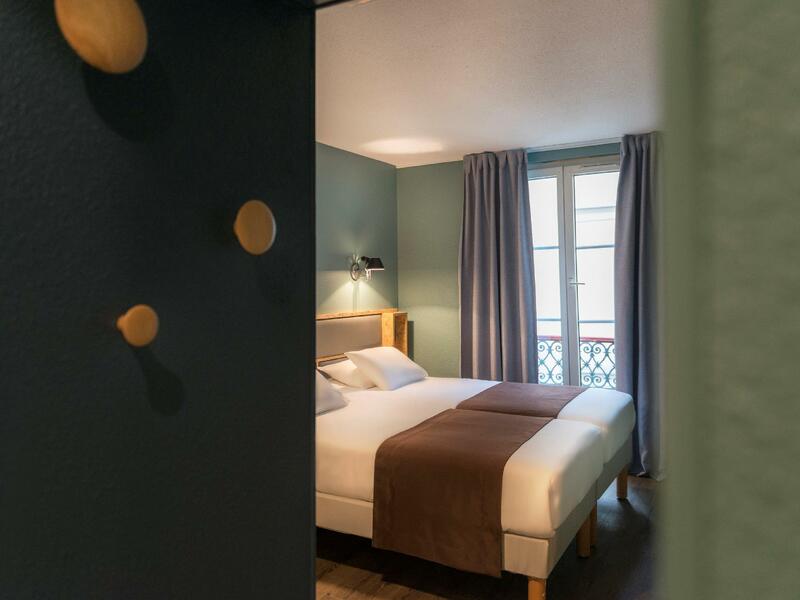 Apa juga tujuan lawatan, Hotel Basss merupakan pilihan yang terbaik bagi penginapan anda di Paris. This hotel was amazing. Perfect location, quiet, clean and the staff were lovely. Can’t wait to return. 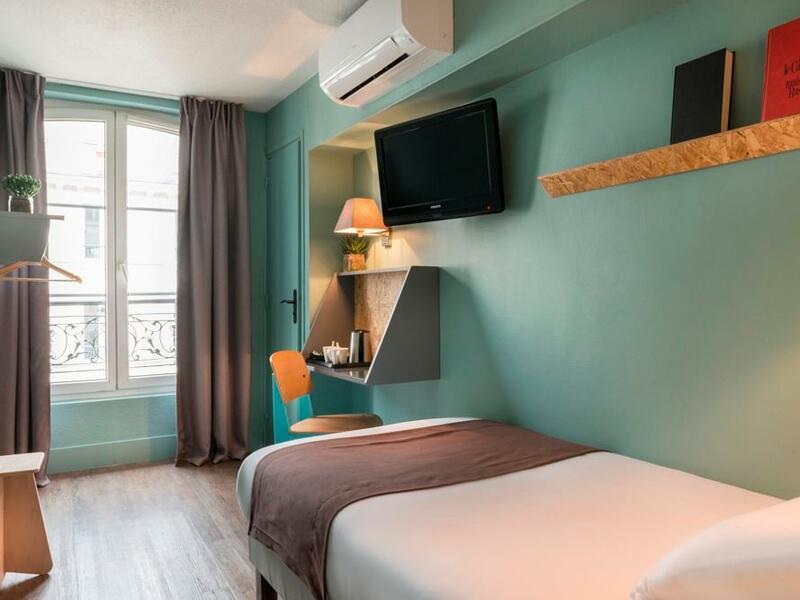 Hotel is located near Monmartre and very near to a underground station Blanche. Breakfast was good (only weren't included veritables). The stuff was pretty friendly. I totally recommend. We stayed for 4 days during our recent visit to Paris to celebrate my 75th birthday. The rooms were very compact but had everything we needed. Some larger people might have a problem accessing the bathroom as it more like a cubby hole. The room had coffee making facilities and also free coffee in the breakfast room after 2.00pm. The rooms were spotless and the staff very friendly and helpful. For the area the rooms were very reasonably priced and we would definitely stay their again . Not suitable for wheelchair users. 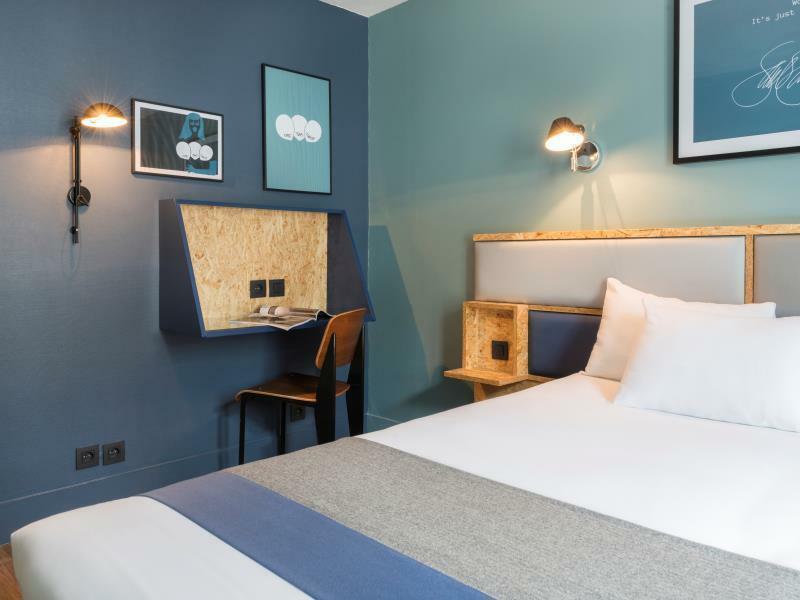 This is a cool boutique hotel with a trendy design. 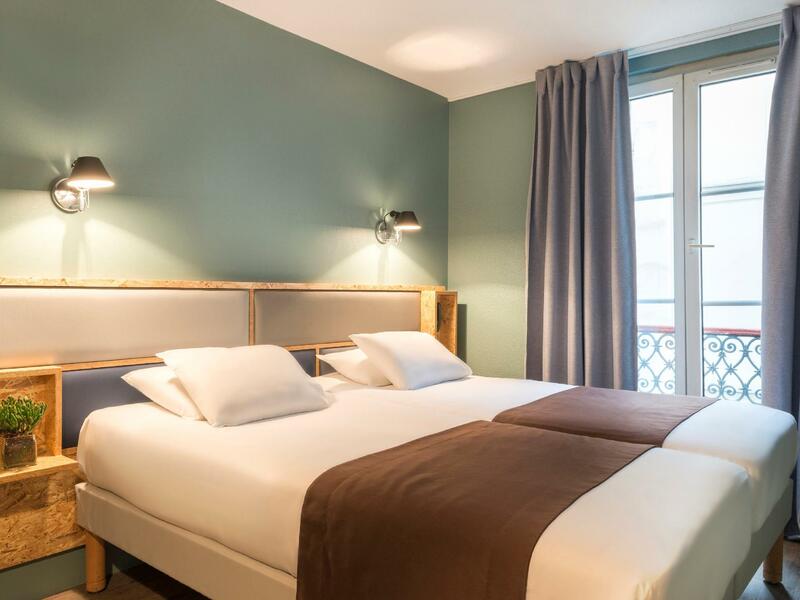 The rooms are incredibly small, just a double bed with a small amount of room to one side. The shower is crazy small. I’m small and struggled to comfortably wash my hair. I read reviews that the housekeeping was bad and thought “how bad could it be?” They only made the bed sometimes, they never replaced my toilet roll during the entire week and they didn’t remove and replace my sopping wet bath mat (which is inevitable when you have a shower). The bed is comfortable and if you are one solo traveller it’s good but I wouldn’t recommend to large people/ couples. The location is great and the breakfast is nice. Staff are very nice too. Booked for twins and was told initially had to go with Double. Room was resolved to one with a dirty washroom. Just shocked. The only redeeming quality was breakfast - foods and staff were lovely. Lovely stay, cool decor & comfy beds however bathroom was tiny (the wall was literally 4" from my knees on the loo & I'm a tidgy 5ft 4"!) & toilet not attached properly to the wall! Main problem is the size of room and bathroom-I could touch the wall opposite with my knees when sat on WC-the breakfast area is too cramped for the no. of guests. Hotel room was small, like most others, but new and clean. The breakfast was very good as you would expect in France. Chocolate Croissants! the best! The staff were very helpful and very friendly. Did not expect them to be Asian,but make the hotel very nice to stay. The location was right on the metro line. easy to find and walk to. Like everywhere else in France, great restaurants, butchers and shopping along the street. Unfortunately in France, there are some shady people doing nothing there, living off the system. I felt safe, but be smart traveling to pubs at night. Such an unpleasant surprise. I really liked the location, really close to the Sacré Cour and Moulin Rouge. Market, small shops, and lots os restaurant were close, so as the metro station. Bra läge, sköna sängar och trevlig personal! Sköna dagar, tyvärr 7 trappor utan hiss o mögeldoft! Byggnadsställning utanför fönstret. 데스크아주머니친철, 호텔 깔끔, 가격대비 만족 지하철오르막길이있으나 교통 위치는좋은편, 번화가인듯하며 유명맛집 근처 꽃아이스크림집이 100미터정도떨어져있고 근처식당도 대부분맛있음.